So this week Tyson has two huge tests. Yikes! Last night he was up at the library until midnight and I have a sneaking suspicion the rest of the week will look about the same. So baby girl and I decided our favorite engineering student needed a little study snack. Directions: Place oil in a large pot over medium heat. 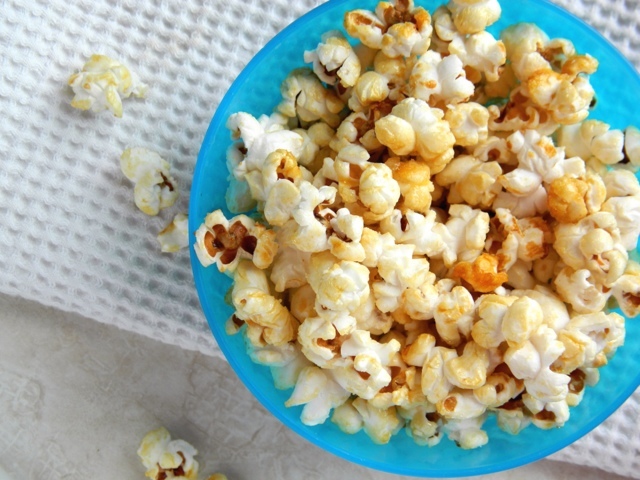 Once oil is heated add popcorn kernels and sugar. Quickly mix together and cover. Once the kernels begin popping, using hot pads give the pot a good shake every 10 seconds or so. Once the popping begins to slow remove the pot from the heat. 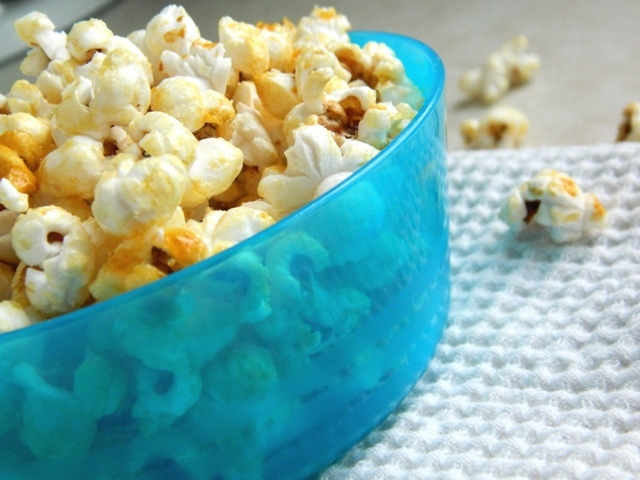 Carefully transfer the hot popcorn to a large bowl and salt to taste. Copyright © 2011-2015 I Knead to Bake. Powered by Blogger.